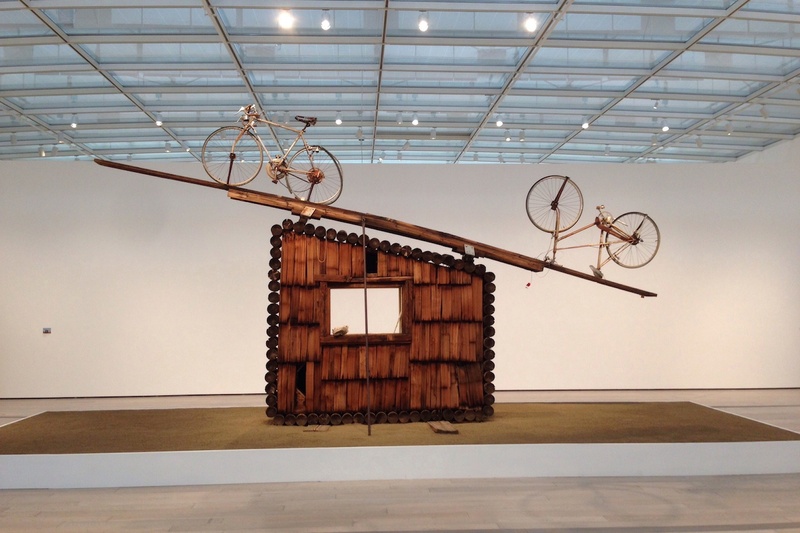 This week, LACMA’s Noah Purifoy retrospective closes, a new gallery opens a 24-hour-long show, it’s the last chance to see the holiday lights at the Getty Center, and more. The cheekily titled exhibition The Real World at Steve Turner brings together six young artists who have developed robust online art practices. Alongside their internet-based works, however they also create physical objects, including paintings, sculptures, and performances. Their work both emerges from, and is a critique of, internet culture, highlighting the limitations — and possibilities — of living our lives online. 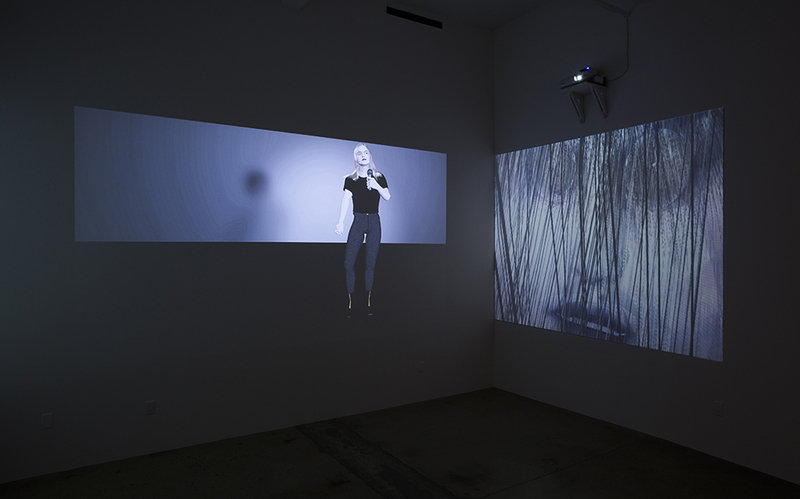 The artists included are Petra Cortright, Casey Jane Ellison, Ann Hirsch, Jayson Musson, Ryder Ripps, and Yung Jake. In the short time they’ve been around, ASHES/ASHES has earned a reputation for ambitious shows that completely transform their space in the historic American Cement Building. Their current solo exhibitions featuring the work of Tony Hope is no exception. Enigmatic installations based on youth culture take over the gallery, extending from the main space into the bathroom. 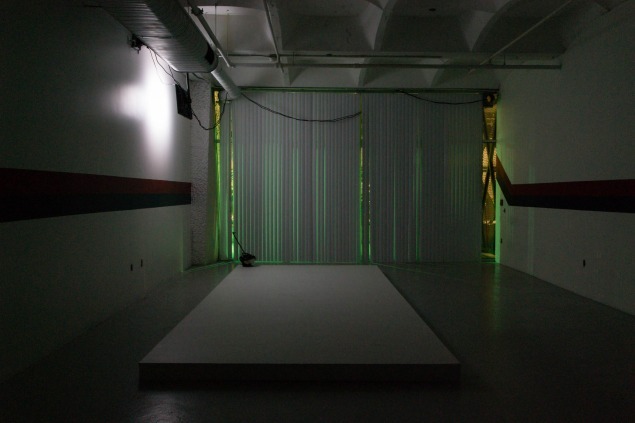 For the run of the show, the gallery is only open from 6 to 9pm at night, heightening the eerie ambiance of a green light outside peeking through the blinds. The holidays may be almost over, but the lights don’t have to come down quite yet. 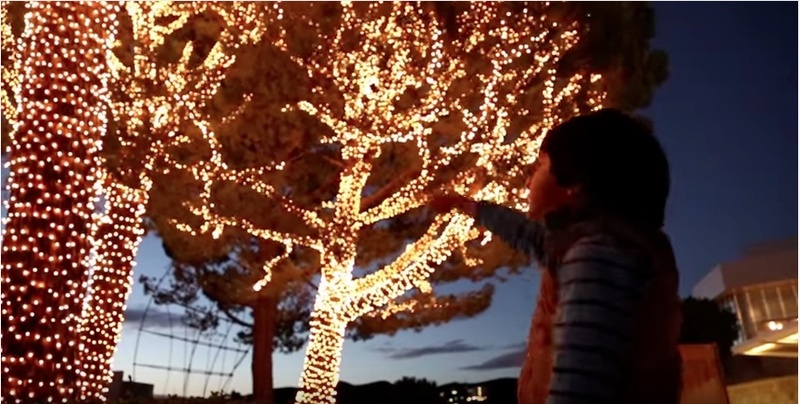 This Saturday, the Getty Center will be hosting their final holiday lights evening of the season. From 5:30 to 9pm, visitors can enjoy the light-wrapped trees in the Central Garden, snowflake projections throughout the campus, and free hot cider in the Entrance Hall. Exhibitions on food, Japanese photography, and tapestries, as well as reduced-cost parking after 4pm make this a great way to end the holidays. The landscape of Southern California is surprisingly diverse, from the high desert east of Los Angeles, to the verdant San Gabriel Mountains, and the beaches of Malibu. Southland at strip-mall gallery perhrspace showcases the work of two artists who represent the region’s landscape in very different ways. 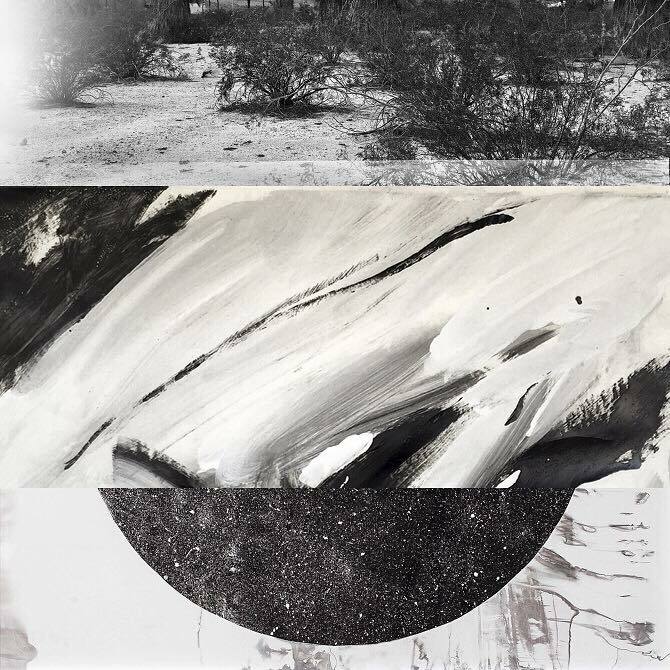 Chelsea Mosher‘s photographs capture the area’s sun-bleached flora, while Jonah Fernandez Olson uses printmaking, rubbing, and collage to evoke a sense of tectonic volatility. Depending on how you look at it, Make Me Really Happy is either a very short exhibition or a very long reception. 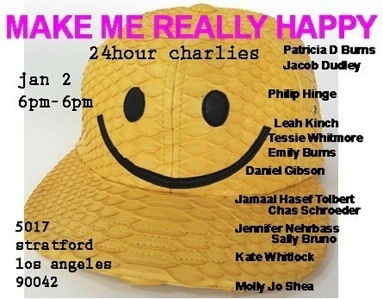 The inaugural show of new Highland Park alternative space 24hour charlies, Make Me Really Happy will only be open for 24 hours, from 6pm on Saturday to 6pm on Sunday. 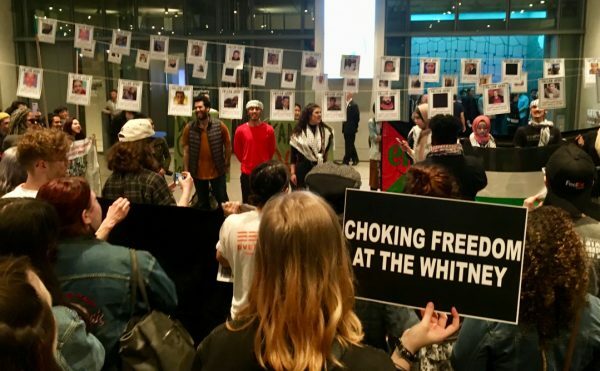 Eschewing an overwrought conceptual framework, the space’s founders sought simply to assemble work they love by artists from LA and elsewhere, creating a loosely-connected group show that is also a festive participatory event. After all, how many gallery exhibitions offer the opportunity to drink a mai tai while watching the sunrise? Noah Purifoy’s retrospective at LACMA is the best kind of blockbuster exhibition. Junk Dada features a wide-ranging selection of work from across his long career, including a number of large-scale pieces trucked in from his desert museum in Joshua Tree. 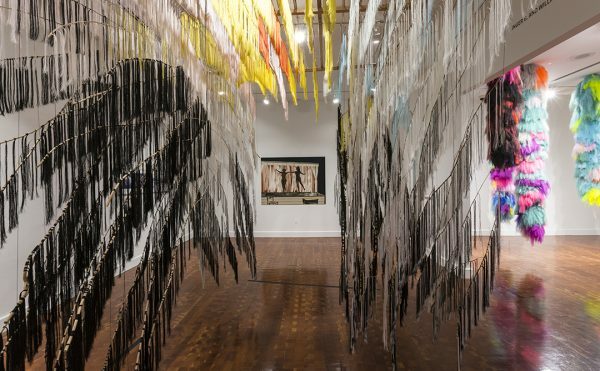 The scale and scope of the exhibition is not simply awe-inspiring, it also makes clear why Purifoy is a seminal figure in both California assemblage art and the history of African-American art in Los Angeles.